Mayor of Chania Mr Anastasios Vamvoukas visited the Greek Centre with his wife and members of the Pancretan Association, on Wednesday 13 April 2016. 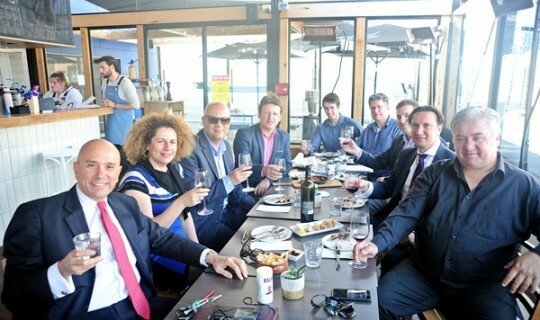 They met with the members of the Board of Management of the Greek Community: President Mr Bill Papastergiadis, Vice President Mr Nikos Koukouvitakis, Board member Mr Michael Karamitos and with the Director of the Greek Centre Mr Jorge Menidis. During his visit Mr Vamvoukas was briefed on the history, the activities and the programs of the Greek Community. He said that he was impressed with the Greek Centre and the achievements of the historic organisation.